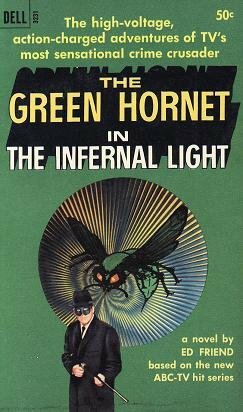 Fifty years ago this week, The Green Hornet debuted on ABC. 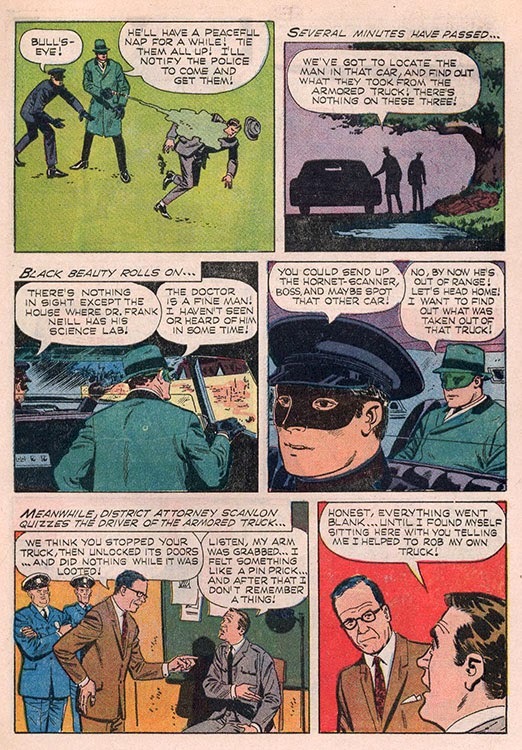 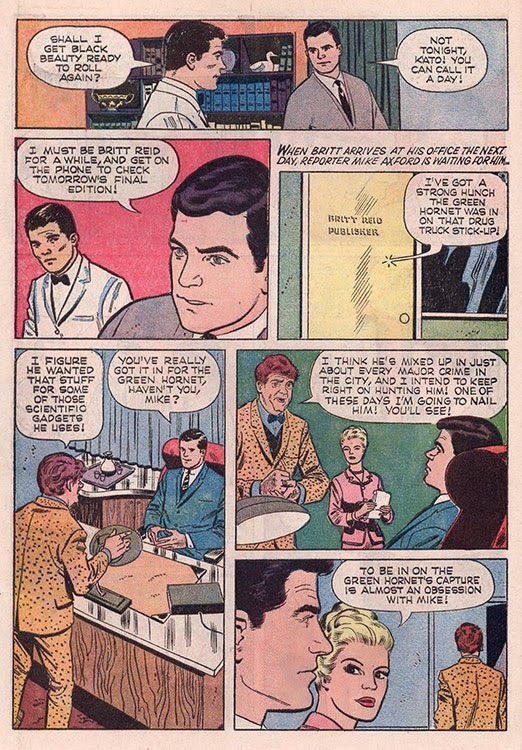 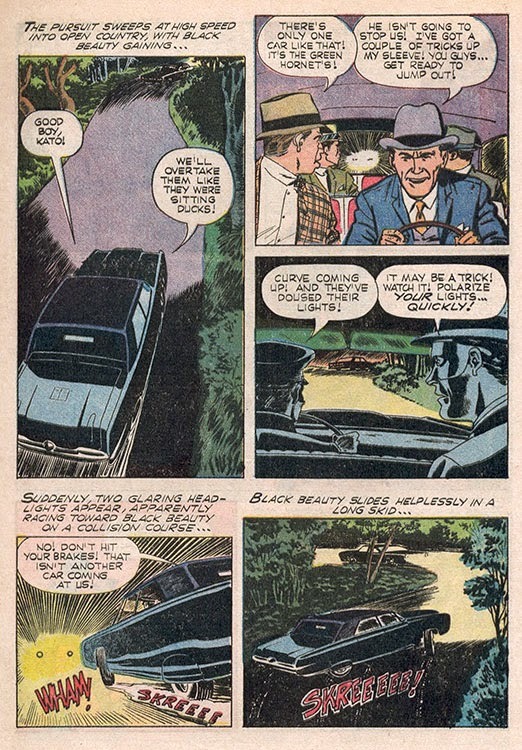 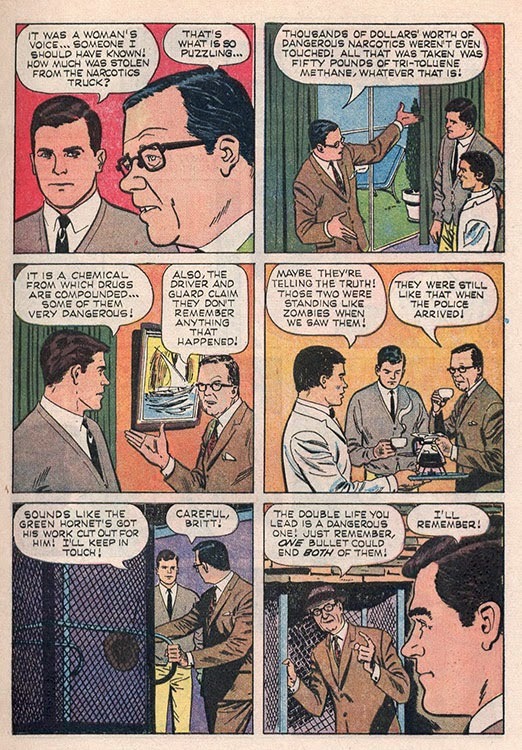 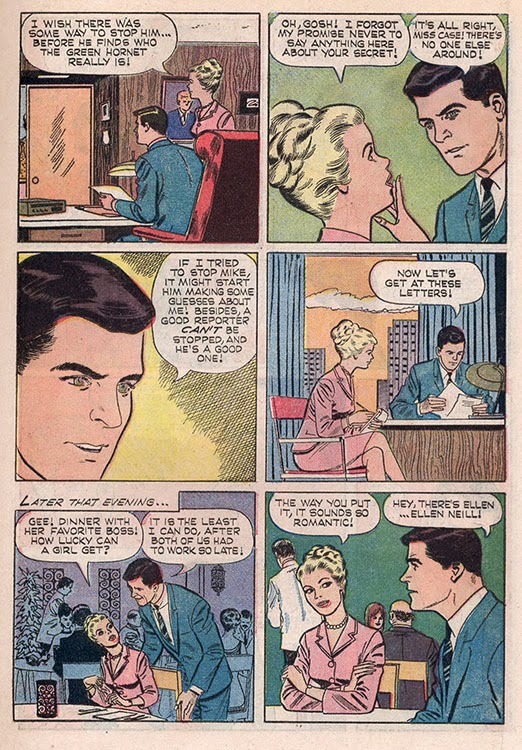 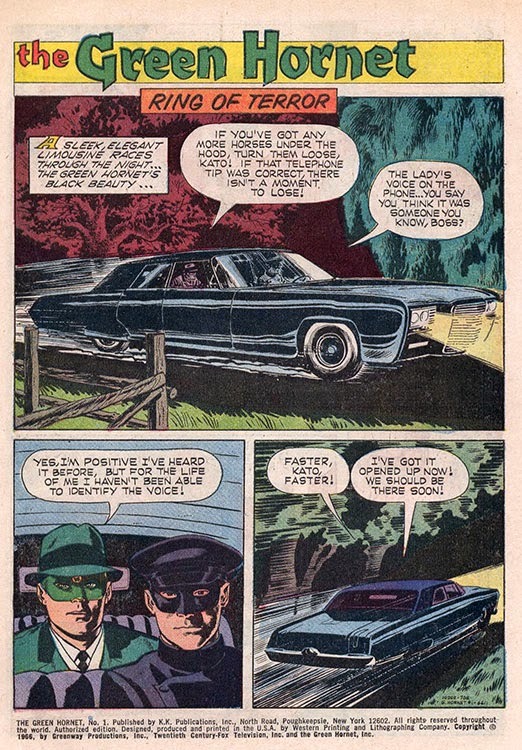 From late 1966/early 1967, here's The Green Hornet's first comic book appearance in 13 years (since a 1953 one-shot comic based on the radio show)! 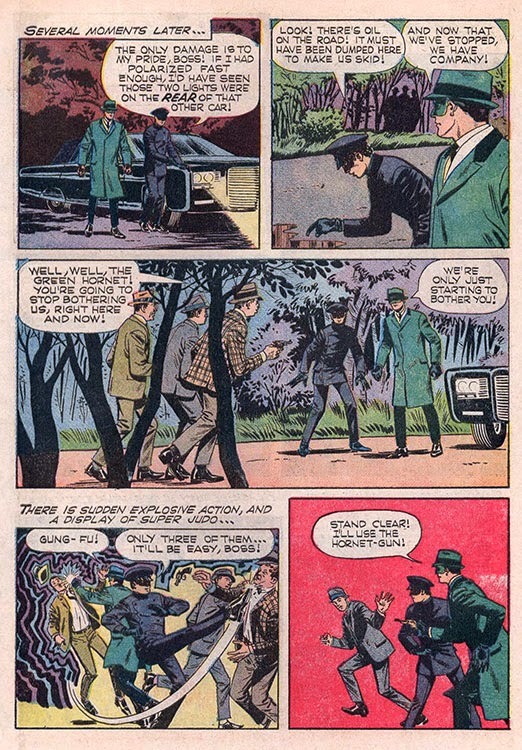 Can The Green Hornet figure out how the gangsters are pulling off these robberies with the aid of the victims? 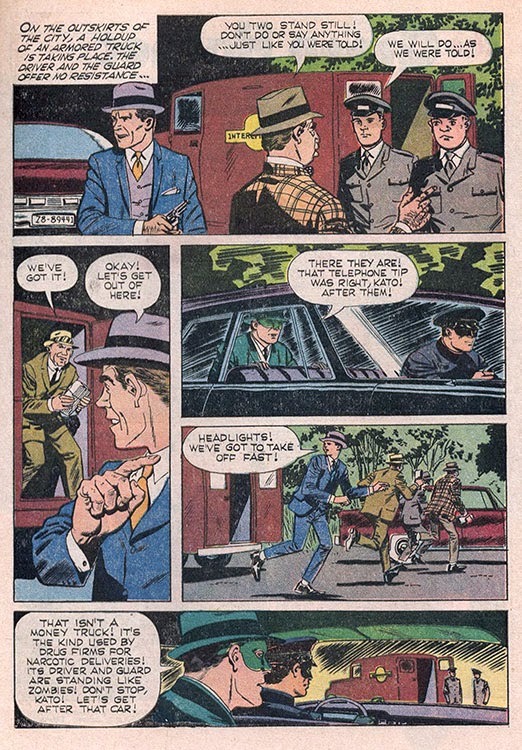 And, what's the connection between his old friend and the criminals? 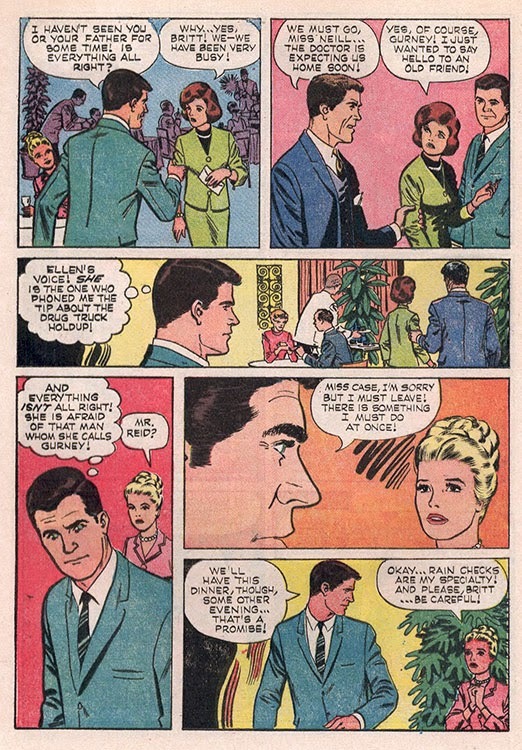 Only writer Paul S Newman and artist Dan Spiegle know the answer! 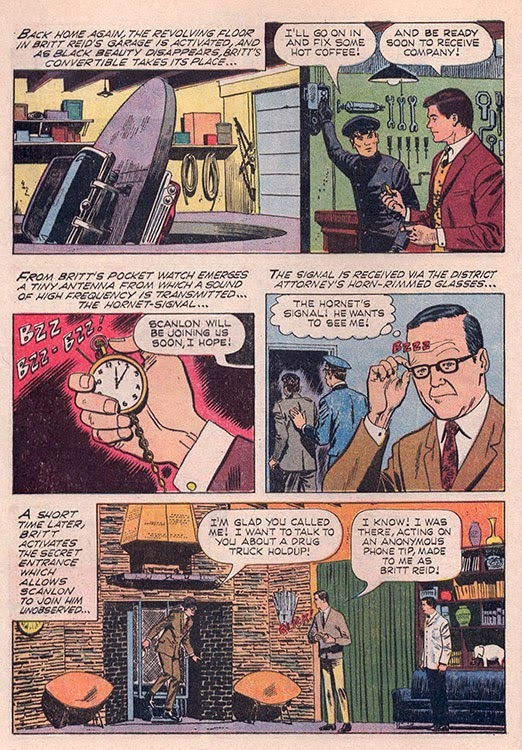 Never reprinted, and extremely hard to find in good condition!